"Renovation" is typically a word used for any adjustment or alteration to an existing theater space. 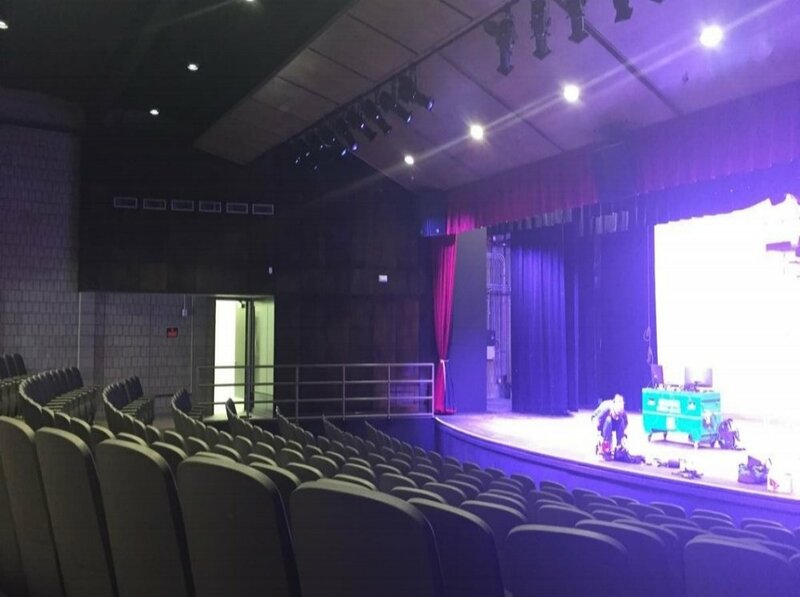 What occurred at Chandler Center for the Arts in 2018, can be more attributed as the final stages of a revolution in the way that this performing arts center operates its lighting system that began ten years previously. 5 Words Media was contracted to design & install LED lighting equipment and drapery into the Dalton Street Studio as part of their new production studio installation. The system was comprised of LED lighting fixtures from Altman Lighting. 5WM chose LED 6" & 8" Pegasus Fresnel fixtures to light the sets main key/fill light from above the set. 5 Words Media was approached by O’Farrell Community School (San Diego, CA) to design and build a new stage lighting system for their 600 seat theatre that would be safe and flexible for a wide range of theatre and public events that the school offered for students and the surrounding community. 5 Words Media was tapped by M1 Interactive and JR Lighting to design & build the lighting elements to Chicago Department of Transit’s (CDOT) new Fulton Market Gateway identifier. The 35′ by 80′ sign was a $500K CDOT project as part of a new initiative to revitalize the Fulton Market District in Chicago’s urban downtown district.